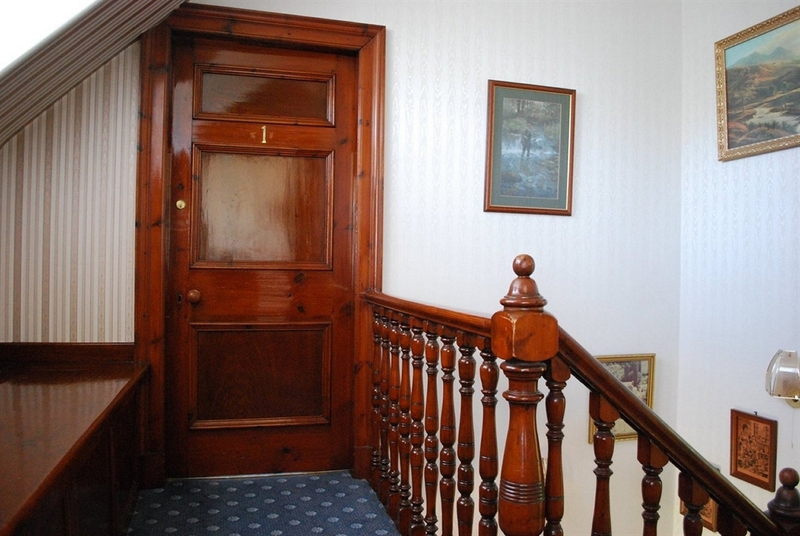 Quality and Assurance A warm Highland welcome awaits you at Gowan Brae which was built at the turn of the 20th century and is situated on the hillside above Fort William overlooking Loch Linnhe and the Treslaig Hills. Parking is available in the two driveways adjacent to the house and an undercover storage area is available for motorbikes and bicycles. 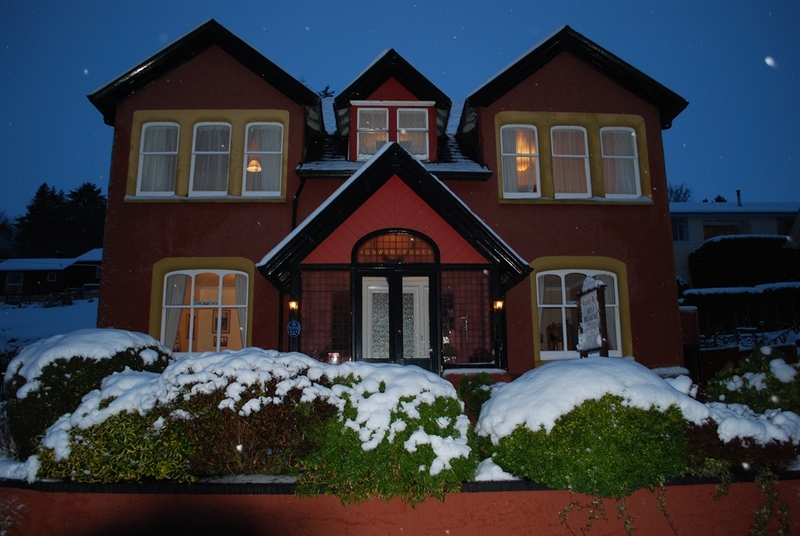 "Full marks to Mr & Mrs Clark at the Gowan Brae, for going far beyond the call of duty, in order to make our stay, (my 10 year old daughter Florence and I), in Fort William, as rewarding as possible. This couple clearly have great empathy with their guests, along with pride in their home town and their establishment. Everything was clean and well maintained, with thoughtful touches, such as a selection of toiletries, bottle opener & glasses available. A good breakfast and warm welcome. If only more B&B's were like this!" An extensive breakfast menu including vegetarian options is on offer and particular attention is paid to the quality and presentation of food served in our antique themed dining room. 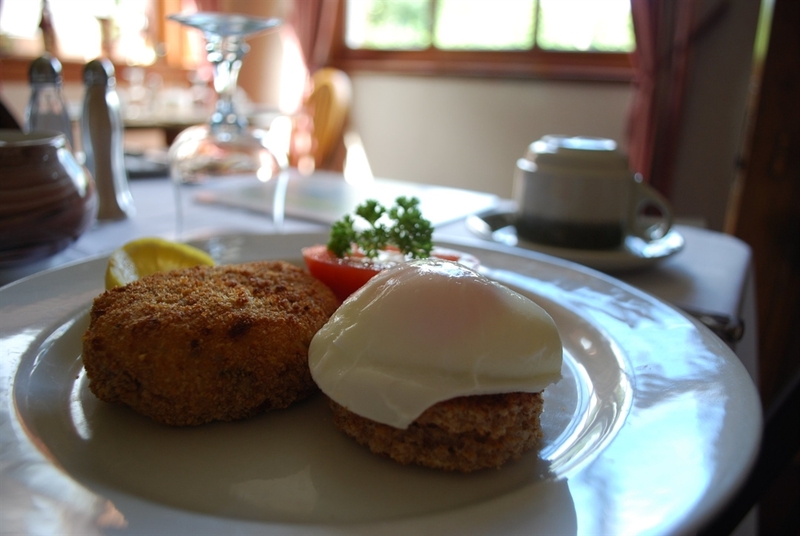 Popular on the Breakfast Menu in is our own recipe of Smoked Fish Cake served with Poached Egg and Grilled Tomato and Breakfast Cranachan served with a wee dram. Fort William High Street is only a 3 minute walk from Gowan Brae and this popular "Gateway to the Highlands" and Outdoor Capital of the UK is favoured by many as a base from which to tour the West Highlands. Glencoe, Inverness, Oban, Skye, Glenfinnan, Mallaig, Kingussie and The Cairngorms are all within driving distance for a day trip. The end of The West Highland Way has been relocated to the West End of Fort William and is only a 3 minute walk from the house as are renouned restaurants - Crannog, Lime Tree and The Grog & Gruel. Phone direct or email for best room rates. Gowan Brae, Fort William Gowan Brae, Fort William Gowan Brae in Winter -The Nevis Range Ski Centre is a short drive north of Fort William and is open all year. Gowan Brae Breakfast Selection - Cranachan - our popular light dish of Cranachan is served with a wee dam. 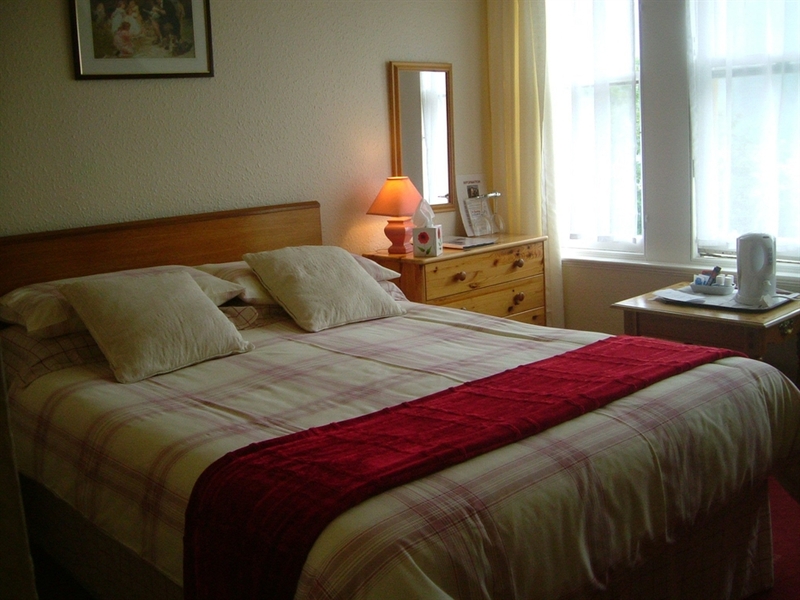 Gowan Brae, Fort William, Room 2 accommodation looks out towards Loch Linnhe and Trislaig Hills and has ensuite facilities, TV & free Wi-Fi connection Gowan Brae Breakfast selection - Proving a very popular addition to the breakfast menu is our home-made Fish Cake of smoked haddock & salmon. Gowan Brae was built in 1900 and the front interior of the building still portrays the original features. 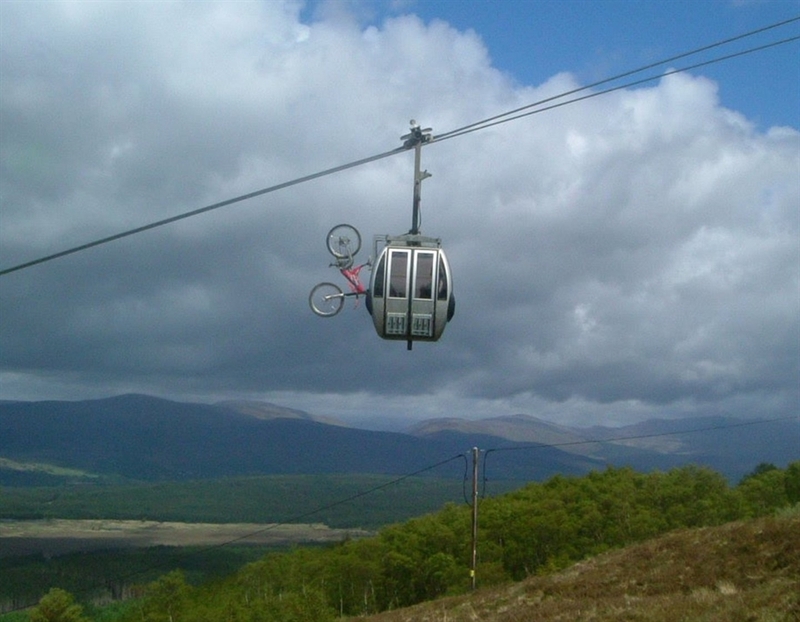 Gowan Brae is a short distance by car/bus from the Nevis Range Ski Centre which is open all year round.